CBS is getting back into the superhero game, ordering a pilot for a series adaptation of DC’s Secret Six. Deadline reports that the network has committed to production of a pilot based on the comic series, with Rick Muirragui (Suits) executive producing and writing the project. The show would follow “six morally ambiguous strangers, each with their own unique specialties and secret pasts,” who are assembled by a mysterious individual that blackmails them into targeting corrupt politicians and corporations. This iteration sounds closest to Gail Simone’s second run on the series, namely the New 52 era version. That run saw a group of six people with their own abilities captured, drugged and thrown together in a prison cell in the middle of the ocean, forcing them to team up to escape. Once they did, they kept together in order to get revenge on the person who did this to them. 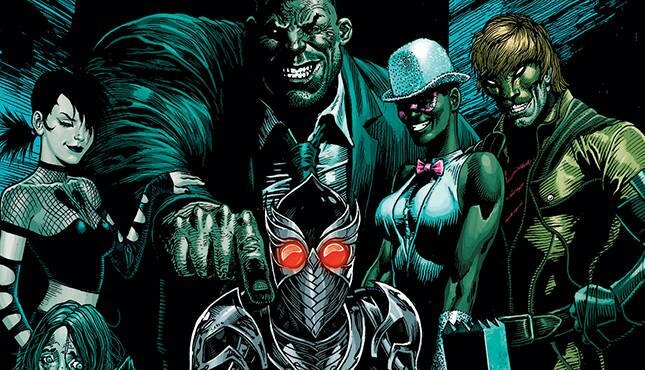 That team featured Catman, Black Alice, Strix, Ventriloquist (Shauna Belzer), Big Shot and Porcelain.